Today it is cold and rainy. The perfect day to craft and push-off cleaning, doing laundry, and packing those last odds and end Christmas items away. 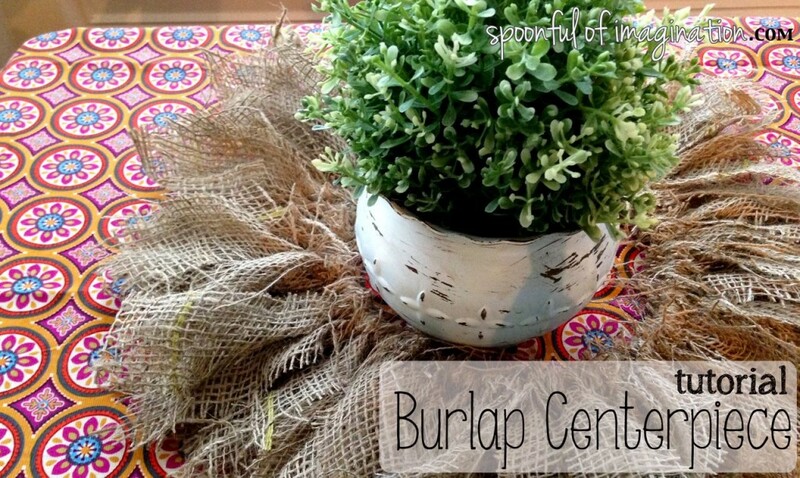 Come make an EASY burlap wreath with me. This thing is so easy. It will surprise you. There is no sewing. No glue. If you want, it can be as simple as only three supplies. Have I got your attention? Let’s get started. 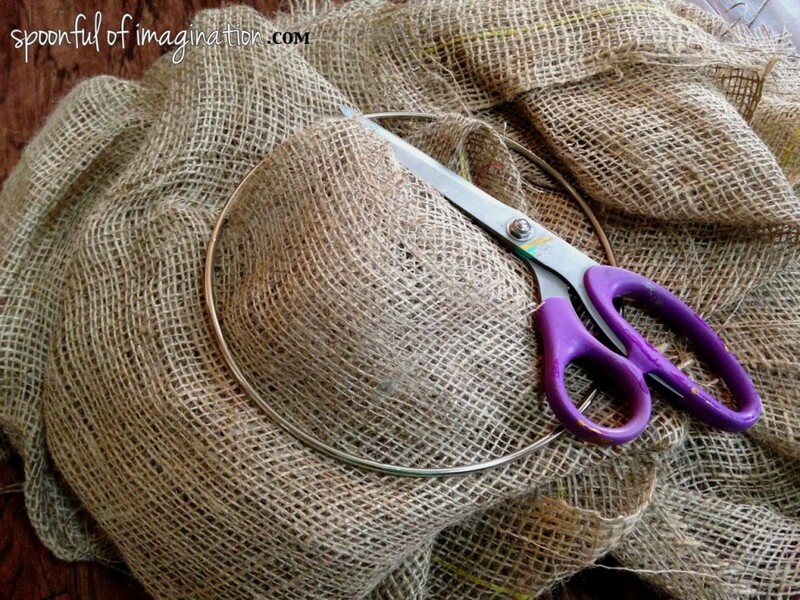 Grab some burlap, a pair of scissors, and a metal ring. I have no clue what this ring is really supposed to be used for. I found it while browsing a craft store and got this idea. I have found some rings here though for $2.49. 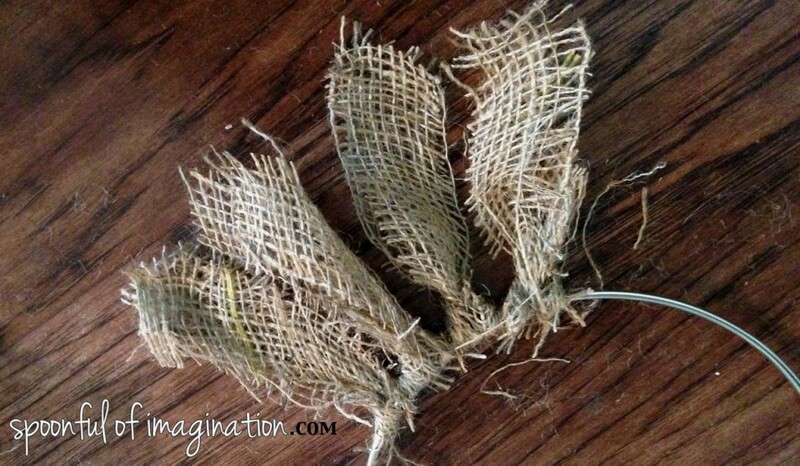 The first step is to cut your burlap into strips. I used strips that were about 10″ by 1.5″. 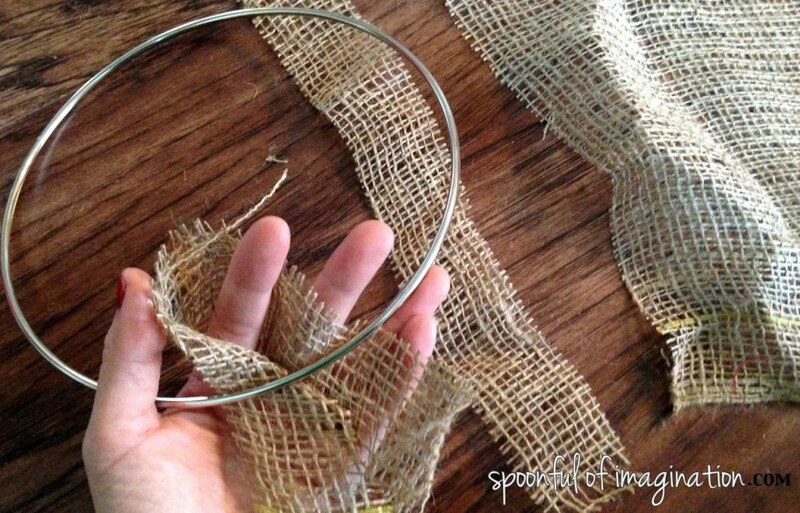 Depending on the size of your ring and how you want your wreath to look, you may want longer or fatter strips. 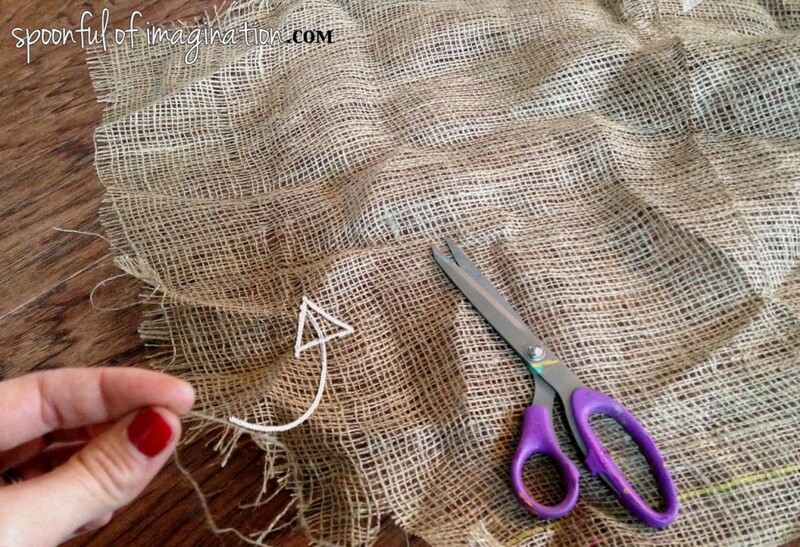 One easy way to cut burlap straight is to pull out a thread and cut down the open space as you see below. 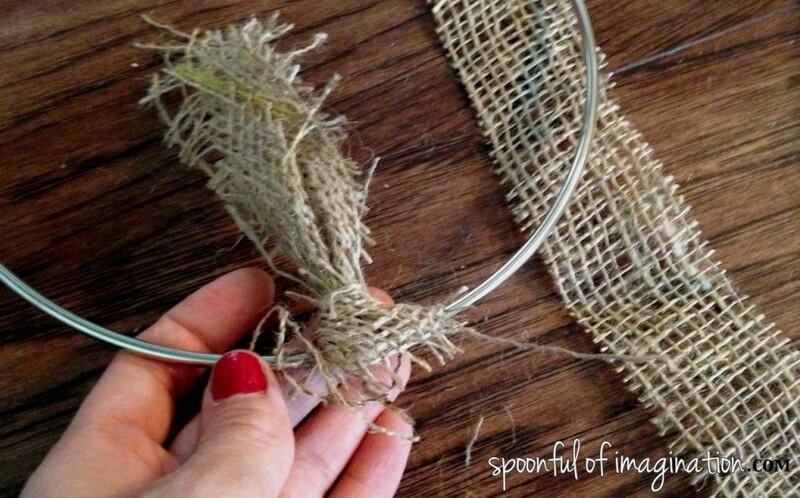 Next, you fold one of your burlap strips in half and place it behind the metal ring. 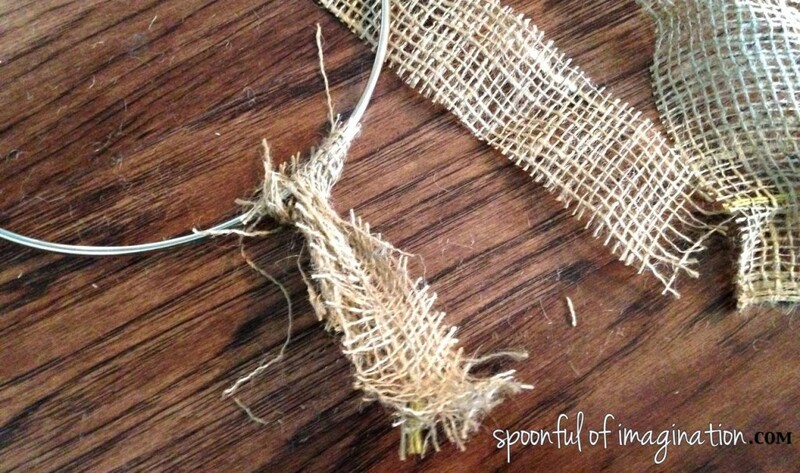 You then wrap the ends of your burlap around the ring and pull them through the looped part of your burlap strip. 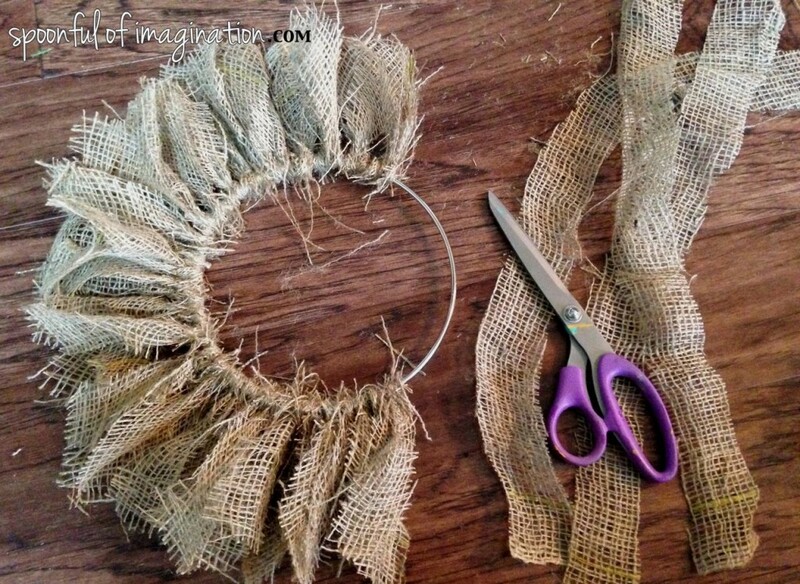 Simply pull the ends tight and flip them out of the circle to create the first part of your wreath. That is the basic step. 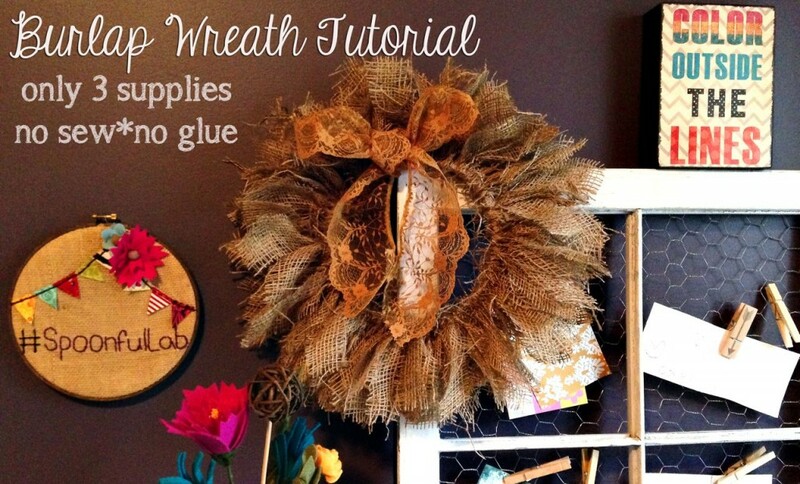 You just repeat that all the way around your wreath with additional burlap strips. 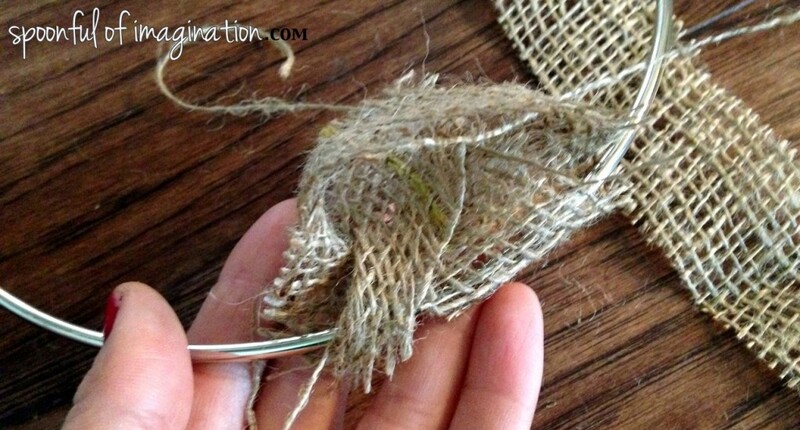 Depending on the size of your ring, it will depend on how many burlap strips you use. I wanted a really full wreath. The fuller the wreath is, the easier your wreath will have pieces that stick straight out and up at the end. Rather than them flopping over or forward as the wreath is hung up. 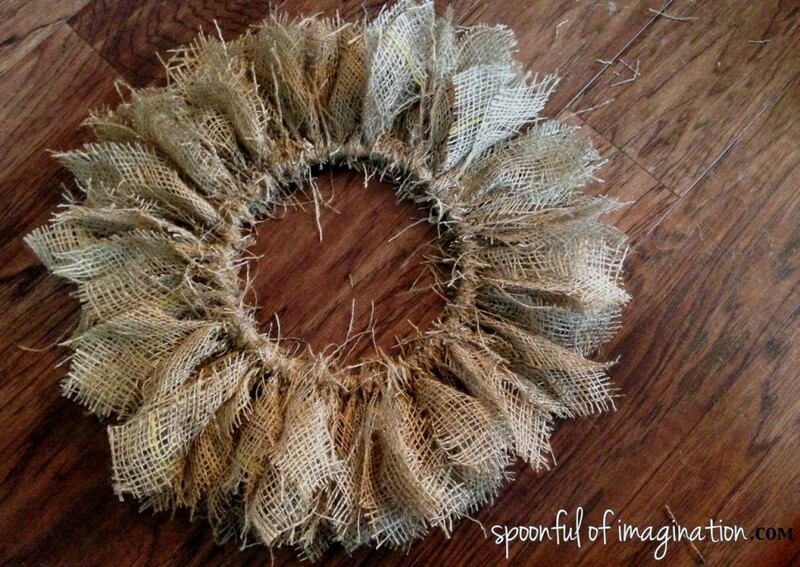 Once you have stuffed as many burlap strips on as you can, your wreath is done! I think the simplicity looks really beautiful. It could be left alone like that. Which gives it a multi purpose function. It would be cute as a table’s centerpiece with flowers or something in the middle too. I see a pumpkin in the center in the fall! I wanted my wreath to actually be used as a wreath. So, I made a quick lace bow and slipped some wire through it to attach it to my burlap wreath. That way I can easily untie the bow, if I want to switch it out or use my wreath for something else. I hung my wreath in my office for now. I’m sure I will move it at some point, but for now I really love the rustic natural look with all the color I have going on in there. 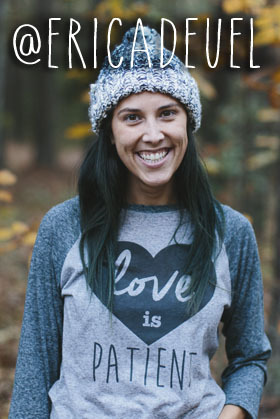 I hope you are settling into a new routine with the holidays behind us, and the new year here! Happy new year! I hope it is a beautiful year for you and are able to live out using your gifts and passions for good. May I hire you to make one for me? Really… I LOVE this!! 🙂 You are the mom-extraordinaire! How big is the ring and the finished wreath? Love it! Wow, this would be pretty with some spring greenery on it too! 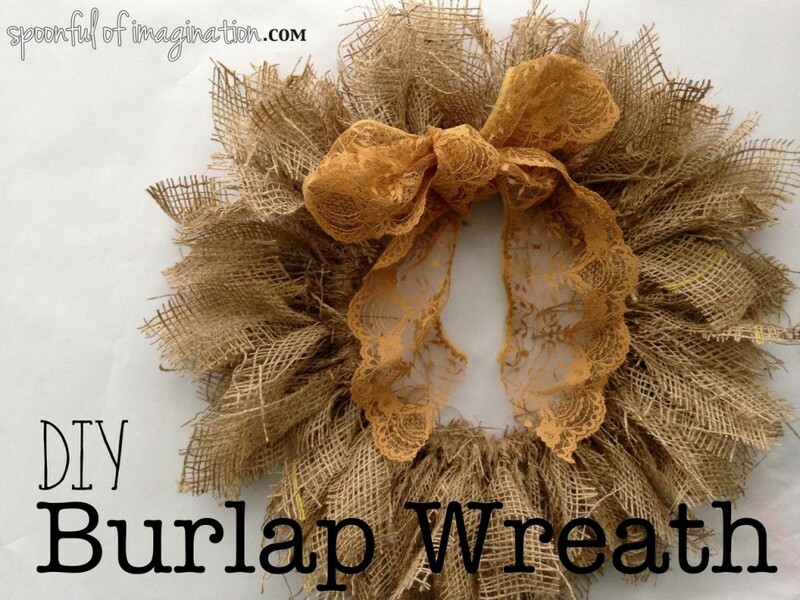 I came across your burlap wreath,and fell in love. I have some rings to use up. Like it as a candle ring also. Thanks for the idea. Will visit in the future. Thank you so much for your kind words… we’ve been away for a while, but new content is on the way!